It is vital to carefully design measuring instrumentation for sanitary applications in life sciences, biotechnology, cosmetics, pharmacology, and the food and beverage industry – particularly those devices that can come in contact with the process media. These instruments work under extreme hygienic conditions; at the same time, they must comply with numerous regulations. Ensuring impurities are not present within the manufacturing process requires repeated cleaning with harsh agents and sterilization. Materials used in the construction of measuring instrumentation for sanitary applications must be biologically harmless, and should avoid corrosion that can contaminate process media or affect the instruments’ accuracy and repeatability. Austenitic 316L stainless steel meets these requirements and is a very good choice of material for sanitary applications. It is nontoxic and has good resistance to moisture, organic compounds, acids, and bases. Also extremely important is the quality of the surface finish that comes in direct contact with process and cleaning agents. A smooth surface can be cleaned more thoroughly and easily than one with crevices and cracks. It can also prevent corrosion, the formation of deposits, and the possible onset and growth of bioburden. By removing the top layer, electropolishing produces a even smoother surface that is easy to clean and is free of irregularities that may promote corrosion, cracks, and deposits. Electropolishing also removes free iron from the stainless steel surface. After electropolishing, the surface is richer in nickel and chromium, and has a better passivation, or resistance to corrosion. An electropolished surface will increase cleanliness down to a microscopic level. Instrumentation made with electropolished stainless steel is the choice for sanitary applications that involve any process media where hygienic conditions are of the utmost importance. By removing the peaks, the surface valleys are reduced and the finish is smoother. This minimizes the entrapment locations of process media during the cleaning process. This smoother surface finish also minimizes the locations where the cleaning agent can have residual holdup, which could contaminate the next process batch unless the residue is removed. WIKA understands how surface quality can improve performance and reduce manufactures risk. We produce a wide variety of pressure, temperature, and level measuring instrumentation where all wetted parts are made of electropolished 316L stainless steel. Such instrumentation provides accurate data and can withstand the stringent requirements of sanitary applications without compromising the process. WIKA’s TR21-B, a miniature resistance thermometer, and the M932.3A, a sanitary pressure gauge, are two products commonly used in sanitary applications for a variety of food and beverage, pharmaceutical, cosmetics, life sciences, and biotechnology processes. The electropolished stainless steel construction of the TR21-B and the M932.3A ensures high surface quality that enhances cleanliness and work well with CIP, SIP, and autoclave cycles. 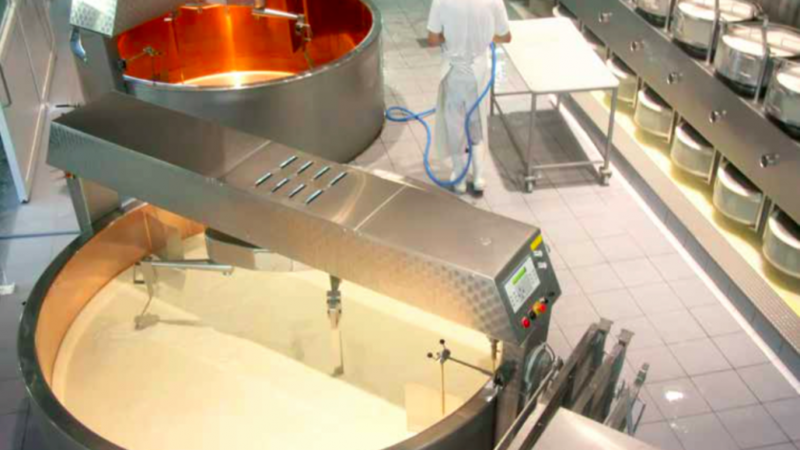 WIKA closely follows the market and, as a result, designs and manufactures products that fulfill the needs of sanitary applications. Contact WIKA’s experts today to learn how measuring instrumentation, whose wetted parts have high-quality surfaces, can improve the performance of your application.